Tired of chasing every social media marketing channel? To make your life easier I asked the following question from the leading social media Gurus. Which is your Favourite Social Media Marketing Channel to Drive Traffic to Your Blog or Website and Why? I am sure after reading this post you will have the crystal clear idea about the best social media channel (s) to concentrate on. After reading this post, don’t forget to add your favourite traffic source in the comments below. 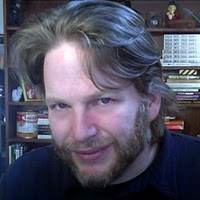 Chris Brogan is a professional speaker, New York Times bestselling author, and blogger. Google+ has become my best traffic driver because I can precis the story there and give people more of a lead in to what I’m thinking. 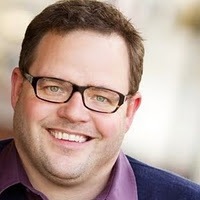 Jay Baer is a tequila-loving, hype-free social media strategy consultant and social media keynote speaker. I’m a digital marketing pioneer, and have worked with more than 700 companies since 1994, including 29 of the Fortune 500. Author of the very popular Convince & Convert blog (named the #3 blog in social media), and the co-author of the best-selling social media book. Twitter is still the most reliable driver of traffic to Convince & Convert. That could partially be a self-fulfilling prophecy as I spend more time on Twitter than elsewhere. That’s one of the tactics I’ll be testing this year, to see if time spent can be correlated with traffic driven. 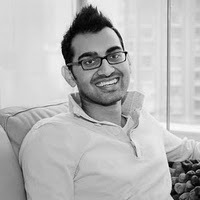 Neil Patel is the co-founder of 2 Internet companies: Crazy Egg and KISSmetrics. Through his entrepreneurial career Neil has helped large corporations such as Amazon, AOL, GM, HP and Viacom make more money from the web. By the age of 21 not only was Neil named a top 100 blogger by Technorati, but he was also one of the top influencers on the web according to the Wall Street Journal. Twitter is my favorite social site. 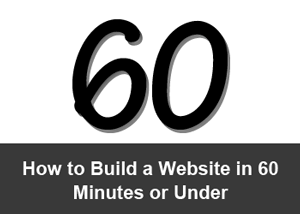 It’s very predictable and you can consistently drive traffic through it if you have a powerful Twitter account or if you have a website that has a solid user base. 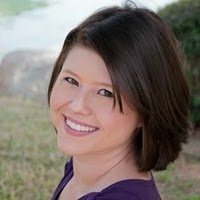 Kristi Hines is a social media enthusiast and blogger at Kikolani which focuses on blog marketing topics including blogging tips and social networking strategies. She also contributes to many other sites as a freelance writer covering online marketing topics for businesses including search and social marketing optimization. When she’s not on the computer, her personal hobbies include photography, tennis, and salsa dancing! My favorite social network to drive traffic to my blog is definitely Twitter. Not only can you tweet your latest post to your audience, but you can also set up searches for questions that other Twitter users are asking that might relate to one of your posts. This stream monitors anyone who asks how to do something in WordPress. Many of the questions end up being about how to set up a blog in WordPress, to which I can respond with a link to my post on 70+ Resources for Starting a WordPress blog. It makes Twitter one of the best social networks for blog post promotion! 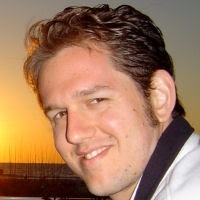 David Risley is a professional blogger, entrepreneur, and online marketer. Having generated over $1.3 million online as a blogger, today he teaches bloggers how to turn their passions into a solid, profitable business through a combination of blogging and internet marketing. For me, Facebook tends to outrank Twitter in terms of traffic, but both do relatively well for me. Google Plus is behind the other two, but considering how little time I’ve invested in the network until recently, it is pretty good. So, in terms of ROI, I think Google Plus might have the chance to outrank all else. Time will tell. John Jantsch is a marketing consultant, award winning social media publisher and author Duct Tape Marketing and The Referral Engine . He is the creator of the Duct Tape Marketing System and Duct Tape Marketing Consultant Network that trains and licenses small business marketing consultants around the world. While Facebook still drives significant and increasing traffic to my site, my favorite is Google+. With the addition of author highlighting the Google Plus profile has become a great way for all of my content to stand out in Google searches. While it might be losing face in the eyes of some people online, Twitter is still my favourite. It’s powerful to share easily and quickly (especially via relevant hashtag conversations), and is the natural platform to extend the conversation from blog post to quick snippets of discussion. Also, with something like Livefyre Comments, your Twitter conversation becomes a natural part of the comment section of the post itself. So, for me, Twitter is still far more beneficial and effective than Google+, Facebook, or anywhere else. 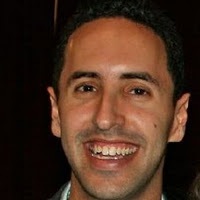 David Berkowitz is Senior Director of Emerging Media & Innovation for Agency 360i. A frequent speaker and media pundit, he has been published hundreds of times in Media Post, Ad Age, eMarketer, and elsewhere..
For driving traffic, my favorite social network is Twitter because there’s little else to do on Twitter beyond clicking links and responding to people. For getting more dialogue, debate, and interaction, I often prefer Facebook and Google+. Neal Schaffer is the creator of the Windmill Networking Blog on Social Media Strategy, considered one of the top 100 marketing blogs in the world according to AdAge. He is also the author of Maximizing LinkedIn for Sales and Social Media Marketing and Windmill Networking: Understanding, Leveraging & Maximizing LinkedIn. 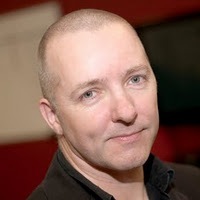 A social media educator, Neal helps businesses strategically leverage social media as a speaker, coach, trainer, and social media strategy consultant. I don’t think about social media networks as traffic-generating websites – they are communities for networking, communication, and information-sharing. That being said, as owner of a social media for business content website, my audience tends to be more active in certain social networks more than others. Furthermore, the functionality in all of these networks differs, so some are more able to virally increase traffic more than others. For that reason, I have to go with Twitter. I have built up a sizable following of relevant followers on Twitter that are thirsty for information – and Twitter culture is one of ReTweeting and sharing. If you establish your own platform on Twitter with relevant followers, it can provide you considerable traffic to your website. 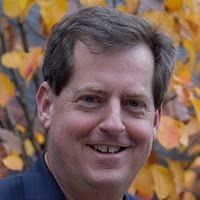 Geoff Livingston has worked as a public relations strategist in the Washington, D.C. region for 15 years. Dubbed a “local blogging guru” by the Washington Post, Geoff’s award-winning book on new media “Now is Gone” was released in 2007. The book has been cited by the Wall Street Journal as a valuable resource for social media. That’s easy! Twitter, because it drives the most traffic for me, and because it’s very public and measurable. Both Facebook and Google+ are somewhat measurable, but harder to trace conversation. Ana Hoffman is the founder of Traffic Generation Cafe which brings you the most profit-pulling free traffic generation tips, tricks, and resources, so that your website and business will go where no website has gone before. My social media strategy is all about the numbers – I go where my audience takes me. Twitter usually brings the most traffic, but it also yields the least amount of conversion, page views, and the highest bounce rate. Facebook is more about quality. My Facebook traffic is definitely much more interested in what Traffic Generation Cafe has to offer. But I am not discounting Google+ either. It’s been quickly catching up to the other two and, in some months, even surpassed my traffic from Facebook. Personally, I’d love to stick with only one network, and I’d choose Google+ for that, but my readership is diverse and I have to be as well. Did you find the answers useful? If yes, how will you apply the learning from this post to your social media marketing? Don’t forget to add your thoughts in the comments below and share this post on Twitter. It’s interesting to see how Twitter is still one of the biggest drivers for the majority of people, despite G+ and its supposed “place to be”. I think that shows Google’s ongoing issues – that its platform is still a tech-heavy area of guys, whereas Twitter and Facebook are more evenly split. You’re still a guru in my books Danny! Respect to this Danny, I love that you weighed in on this after being quoted. I also enjoyed the Pinterest discussion, it’s really picking up steam. 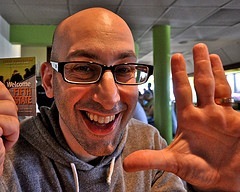 After reading AJ Kohn’s recent article on Google+ SEO (http://www.blindfiveyearold.com/google-plus-seo), Google+ is where I’m going to devote my efforts in driving new traffic. Having just started a new business, I haven’t invested much time and effort on any of the big social media platforms. I do believe in concentrating on one main one to connect with your audience. With Google adding personalized search results, I’m putting my money and efforts into developing a presence on Google+. That makes sense – always be strong in smaller batches and then expand. The only “caveat” I’d have about primarily concentrating on G+ is if they’re found to be unfairly promoting their own results over others. With the FTC involved (and possibly international versions), Google could be punished and have this approach revoked. Which would then have a direct knock-on effect for users of their Personal Search option. This is interesting, thanks Rana! Several gurus commented that they weren’t sure if the time invested in their top social media channel was what tipped the scales (and a lot of eyes are on Google+!). That makes a lot of sense. I’m still relatively new to blogging and just “discovering” Facebook, and falling in love with it! I have a feeling the potential for relationship-building is much stronger there, though how that translates into traffic, I’m not sure yet. I was having a lot of success with Triberr until it went manual 🙁 but traffic is still growing despite it. I can’t help but wonder what it would be WITH it! Food for thought! Again, thanks! I think i will go with the google+ as i have many options to use in it. I can segregate all the links according to my priority, secondly its traffic is increasing rapidly now even my plus ones are helping me to increase the traffic. There is no doubt about the numerous benefits of Google+. Thank you for sharing your thoughts. Facebook has been excellent in referring traffic but lately I’m finding Pinterest really throws it over the top. Every time I post content on Pinterest it’s the #1 or #2 source of traffic to my blog. I wonder if that’s because there isn’t a huge land rush to get on there at the minute, Deb, so it may be that the connections are more intimate, and therefore willing to share, as opposed to the convoluted mess that the other networks can be? I think that’s part of it, Danny. I saw the same rush of traffic after joining Googe+ during the early adapter stage – though now I don’t see the same rush. I also think because Pinterest is more visual, the image is what draws us in and we want to learn more. A picture is worth a thousand words, while a headline can be pretty darn boring. Deb, what types of images linked to what type of content do you put up on Pinterest that are primary drivers of your traffic? Thank you @f28ac14a300167f7acc386f47055c95a:disqus for sharing your best source of Traffic, as you said Pinterest is more visual. Do you think Pinterest can be good for every one? I agree with many that Twitter drives the most traffic, but Facebook/G+ provides the most interaction/conversations. I find all the animated gif’s in the G+ timelines can be distracting and annoying though. Thanks for compiling this! And I agree with Ana, Twitter does bring more traffic but the quality it down. Our operation is still crazy small so I think the biggest bang for our buck is blog comments. Obviously we write a ton more comments than we get a reaction from, but every so often a thoughtful comment on a certain blog will bring in tons of great hits, for a long time. And by and large this traffic hangs out longer than other sources. It’s also great to further leverage your comments by sharing the blog around your social feeds. That can do a lot toward building a relationship with the author. Thanks @AmieMarse:disqus , I am glad you liked the post. There is no doubt that blog commenting strategy certainly has the longer shelf life and usually drive quality traffic. I agree with all of the above, and I do get a good amount of traffic to Advanced Market Training from all of them. But I wouldn’t discount LinkedIn either. For conversations (commenting), I find posting to groups relating to my topics in LinkedIn brings a great amount enthusiasm and appreciation from professionals willing to add to what I write. As the author of two books on LinkedIn, creator of groups, and very active on the site, I didn’t even mention them in my quote above! Ken, LinkedIn used to bring me a lot of traffic, but I think with the growing number of Internet Marketers attacking the platform and the general increase in “noise” it might be harder to get heard on that platform. I have seen the traffic drop a great deal over the last few months despite not changing my tactics. Wondering if anyone else sees that? I agree with you @4cb606d52191ec09f8a87f7424d8736a:disqus that LinkedIn is certainly capable of driving good amount of traffic if you are using it properly and engaged with your connections. I also experienced that LinkedIn traffic often stays longer. I’m using all of the big 3 Twitter, Facebook and MySpace (not – just seeing if you’re paying attention) and Google+. I was a very late comer to Facebook and as such just I’m getting going on it, but I have a cool URL to my page http://chrisonfacebook.com . I was early on Twitter but didn’t work on it seriously until late but it’s working well. I’m really enamored with Google+ and it’s interactivity, and the Hangouts are something I’m really going to utilize in the future. I’ll keep an eye on you Rana now that I know about your site. Thank you @sybersquad:disqus for sharing your favorite social media channels. I never used Myspace, how is that working out for you? I find Twitter brings in the most traffic, but that’s because I’m getting facebook and google + off the ground. 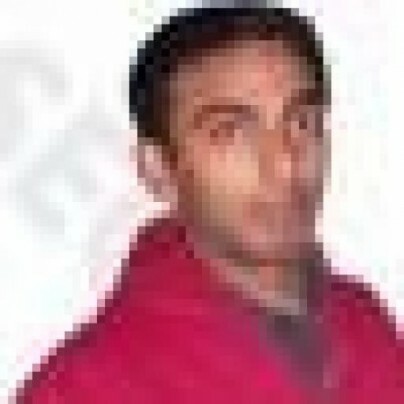 Thank you @twitter-117026623:disqus for sharing your favorite social media marketing channel. Facebook drives significant traffic to my site But i think Twitter is most reliable source of traffic. Twitter is my favorite. It’s interesting to see the similarities and the differences. A good majority of people say Twitter, which I can definitely agree with. I think, though, while this did some nice insight, what this tells us the most is; every social media strategy is different for every person. While Twitter may be a top runner here, that doesn’t mean it’ll necessarily work for everyone. I’ve seen some people succeed far more on Facebook than on Twitter and vise versa. Or they are highly successful on Tumblr. It just depends on the person, their brand and where their market is. For me, yes, Twitter is a huge traffic source and probably the #1, outside of guest posting. Great tips! I think the key is to play around and find out what works best for you and gives you the best results. Some may work greater than others, but we won’t know unless we try them all. Thanks for the resource, Rana! You are right @twitter-311580218:disqus . Test and try is the best way to find out your own sweet spot but it is always handy to know what is working for the masses. What do you think? Thank you @PeterSandeen:disqus for sharing your thoughts as well. I totally agree with you. It seems that Twitter, Facebook and Google+ are the top sources for traffic for these big names. Just wondering … no one mentioned social bookmarking … is it completely yesterday’s news? Thank you for reading Timo, Important point to note here is that every one shared his best source of Traffic. Therefore, we can’t say that bookmarking sites don’t work. You know, this has made me think… Twitter and FB get us all of our readers now but I have never looked into bounce rates..
Nice to see the pros are divided. Life is never really simple. I liked your concise intro – and the quotes of course! Written neat and in better way Quoted! Very interesting overview! I check where my traffic comes from regularly, I get a lot from LinkedIn and facebook, mainly down to me posting in specific groups, but also get traffic from twitter etc. Oddly the places I don’t get much traffic from are the places I’m not very active on! I think there may be a connection!! I would have to follow what Ana says. I’d love to only focus on one Network and I honestly love Google+, but LinkedIn and Twitter are highest producing networks traffic right now. In the long run I think being a master of one will be more beneficial than a slave to many but you have to follow the numbers. As an online presence you Like or Dislike for a social network means littler versus where your traffic comes from. Thanks for a great article Rana!! I’m so glad I found this article (via Twitter, interestingly enough). As a social media consultant to locally owned businesses in a small town, many of our prospects haven’t discovered the power of Twitter (which is my best social media traffic source currently). I’ll definitely be using this to sway those that are on the fence on how Twitter can work for them. Rana, do you have a twitter list set up for those mentioned in this post? I was able to connect with a few, but others weren’t immediately found.Thanks again for a all around great article! As a company that manages several companies throughout social and traditional media we have found that it is more about the category that the business is in than the platform. Each platform has a different person that participates in it. No surprise that with bloggers that twitter and G+ are popular but when you get into ‘local’businesses and retail facebook can become a HUGE traffic driver.. The technique you use in using social marketing advertising is determined by a lot of factors such as the market of your website, the characteristics of the goods and services you are selling, and you will as well as places of your site visitors. However, it is a must that you create a information for your business on marketing sites like facebook and twitter. Google+ for that, but my readership is diverse and I have to be as well. I actaully did not know much of the internet professionals on the list. I would like to thank for that as well as the post. For me the top traffic driving social media sites are Facebook, Stumbleupon, Reddit, Twitter and Google Plus respectively. Great article. I am always looking for new ways to reach my audience and improve my skills. I really enjoyed reading this.